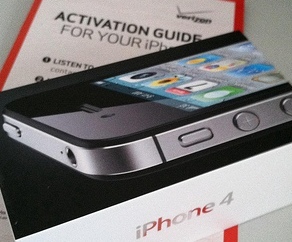 Tag Archive | "local store"
Verizon Wireless says it has more iPhone sales online than in its local store branches. The information disputes the apprehension that few people welcomed the in store debut, which pointed out low sales on the Apple Inc device. The company started selling the phone on its website last February 3. Since then, the demand for the phone has been at top levels, Chief Executive Daniel Mead said during an interview with Reuters held at the company’s headquarters in New Jersey. The phone hit the company’s store shelves on February 10, seven days after it launched on their website. Mead said the absence of longer lines outside Verizon Wireless stores on that day could be due to the fact that around 60 percent of their sales were made through its website. Also, executive said the iPhone has helped greatly increase the pace at which customers changed to Verizon Wireless from its other rivals in United States. At peak times, the device brought its website up to 100 times more orders than the usual. Mead reiterated the company’s notion that it would sell as many as 11 million iPhones this year. He informed that the company will report their sales figures specific to the iPhone when it releases earnings on the first-quarter. The launch of Apple iPhones at Verizon ended the three-year exclusive rights deal with AT&T Inc to sell the device in United States. As a result of the added data traffic from its iPhone users, AT&T was overwhelmed with complaints about its performance. However, Verizon said its performance is doing well even with the additional data traffic received from the phone.